. From figuring out when to get the guest list to finalizing travel, this timeline narrows down everything you need to know about bachelor party planning. From figuring out when to get the guest list to finalizing travel, this timeline narrows down everything you need to know about bachelor party planning. 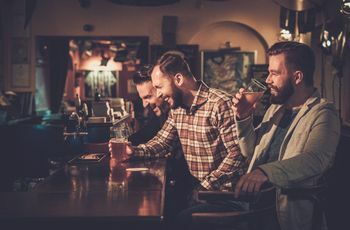 A bachelor party is technically supposed to be the groom’s last big hurrah before he says “I do” (whether that’s actually true or not isn’t for us to say). 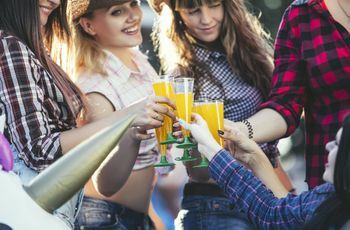 Bachelor parties used to be a single night on the town, but nowadays, they’ve expanded to weekend-long trips, filled with activities the groom loves from attending a sporting event, bar hopping, or fishing and grilling out. If you’ve been selected to help throw this bash, then check out these destination bachelor party planning tips. Plan a time to get together with the groom-to-be where he can let you know who he wants to invite. 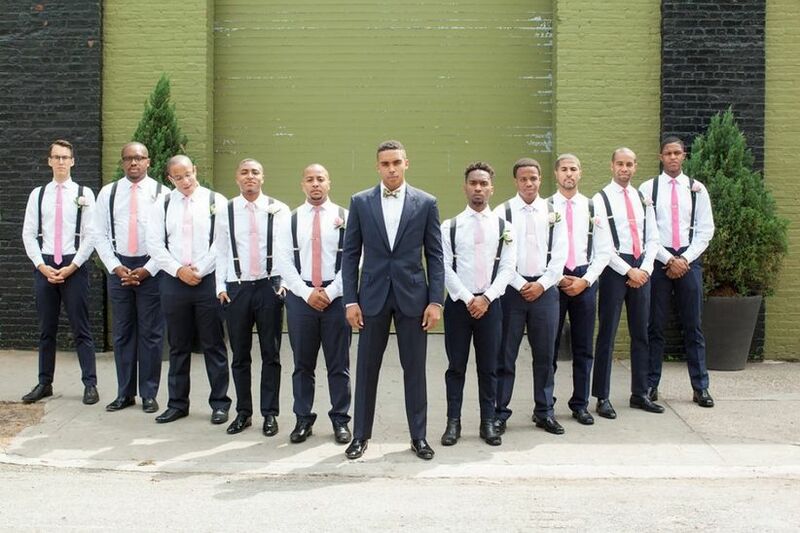 The bachelor party usually includes groomsmen, close friends, and also extended family of the groom. So it is always a good idea to get a list of addresses and contact info of who the groom wants to party with. Now that you’ve received everyone's contact info, create a Facebook group, email chain, or a group text thread where you can go over date options. This is the easiest way to see who is available on which weekends. In order to ensure a date will work for everyone, provide several options to choose from. Once you’ve picked a date for the bachelor party, you should then go over a price point that everyone is willing to spend. Remember some people may not be able to spend as much as others, and that’s okay. Just be willing to compromise on a number so no one will have to break the bank to attend the trip. After you’ve settled on a price point, now is the time to do some research and find the party’s hot location. If the groom-to-be doesn’t have a preference on where he wants visit, check out the top bachelor party destination locations. Just make sure the city you pick fits the groom’s personality. If he is an outdoorsy type, pick a venue that is known for their camping grounds or scenery rather than a bustling city. Once you hit the three-month mark, you’ll want to start rallying up the guys and getting them excited and ready for the destination bachelor party. This can either be a short email or a quick text to everyone to let them know it’s time to start finalizing plans. It’s time to book your travel. 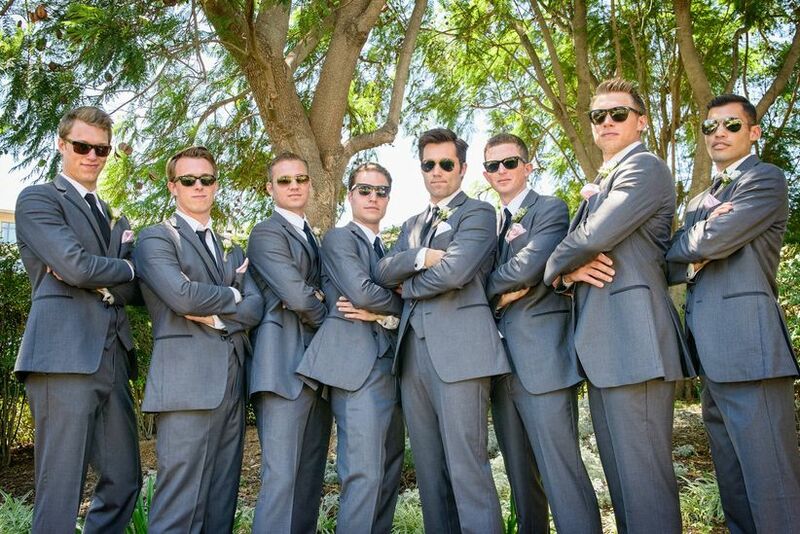 You’ll want to find out where every groomsman is traveling from and see if you can coordinate flights or carpool. 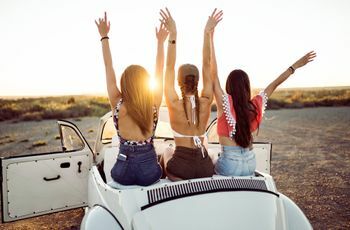 We suggest getting on the same connecting flight, or if you choose to drive, plan a road trip where you can caravan or pick up one another on the way. Traveling together will get the party going with the help of playlists filled with classic throwbacks or a celebratory toast after you’ve taken off. 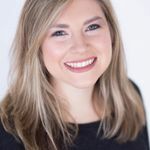 Whether you opt to stay in a hotel or decide to rent a vacation home, you’ll definitely want to book accommodations right after you’ve squared away travel plans. If you are unfamiliar with the city that the trip is taking place, browse online and see where the hotspots are. Then find a hotel or a vacation rental nearby. Also, you’ll want to factor in the pros and cons of hotels versus vacation rentals. Hotels often feature a built in bar and restaurant and are usually closer to downtown. Vacation homes offer a more secluded environment perfect for a groom looking for a more laid-back bachelor trip. When deciding between a hotel and a vacation home, think about the groom’s personality and the group’s needs, and book accordingly. Once you are about two months away from the bachelor party weekend, it is time to figure out the trip’s itinerary. Think about the groom’s partying style as well as his personality when picking activities. If you are unfamiliar with the city of choice, do some research and talking with friends who know the destination well. Then plan activities that are great for groups such as brewery tours or even playing some rounds of golf. 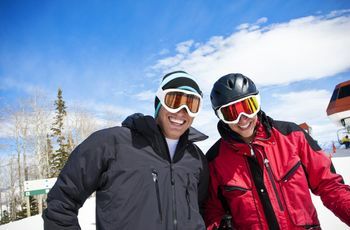 Planning these activities early will ensure you’ll be able to book reservations and help with the overall gameplan of the entire bachelor trip. You’ll definitely want to plan some kind of menu that includes snacks and drinks for the weekend-get-away. 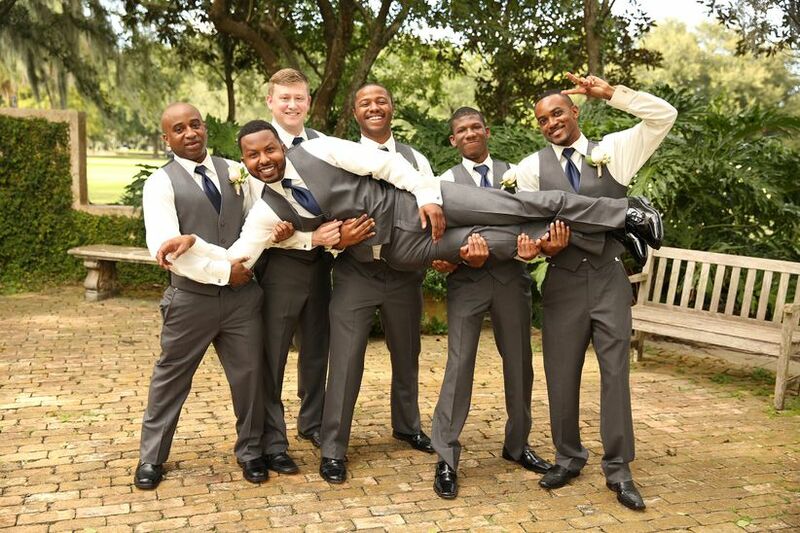 Discuss with other groomsmen on who will bring or purchase what beverages and food items. Even if you are planning to go out for most of your meals, having a fridge filled with the essentials like chips and some packs of beer will make your down time that much better. Also, if you’re staying in a house with an oven available, a frozen pizza is the perfect cure for one too many drinks. To get everyone excited that the trip is just a week away, create a personalized bachelor hashtag and send it to your group thread. The hashtag is also a great way to keep track of every (hopefully not too embarrassing) photo taken from the weekend. The week before the trip you should always check in with the rental company or hotel one last time to go over any last-minute details such as where you can pick up the key to the rental home or to confirm your hotel reservations and check-in time. This is also a good time to call a car service to ensure you can get picked up directly from the airport. If you are flying out for the bachelor party, then you will want to make sure everyone in the group has checked in and printed or downloaded their boarding passes. Or, if you are opting to drive, make sure you’ve filled up your tank so you don’t have to stop right away. Lastly, the night before, make sure you head to bed early and set your alarm. That way you will wake up well rested and ready for the bachelor bash!